WANT SMOOTH, GLOWING SKIN WITH BETTER PRODUCT ABSORPTION? Exfoliation. Polishing. Sloughing off dead skin. Whatever you want to call it, it’s a vital step in any good skincare routine. When choosing a face scrub, select a product that utilises both physical and chemical exfoliation to get the best of both worlds. Not sure what that means? Read on for the low-down. There are two types of exfoliants: physical and chemical. 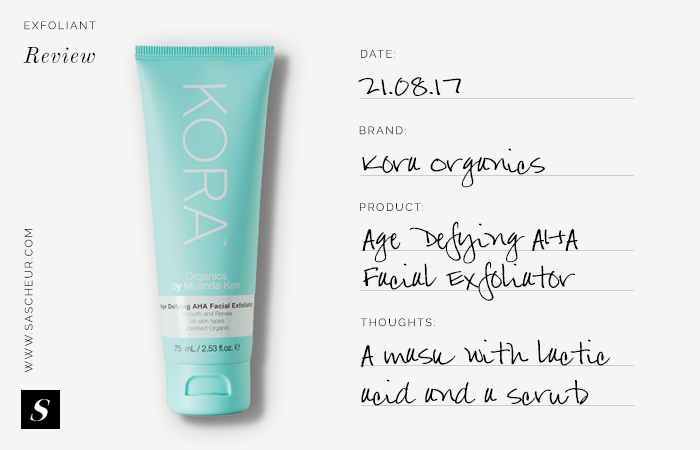 You’re probably familiar with physical exfoliators: they’re super gritty and usually have words like ‘scrub’ or ‘polish’ in the name. Ideally, the exfoliating particles are super fine (and don’t include microbeads) in order to exfoliate the top layer without damaging your skin. Chemical exfoliants, on the other hand, work by breaking down the glue that binds your skin cells together to reveal a fresh layer of skin. These usually include ingredients such as Alpha Hydroxy Acids, Salicylic Acid or Retinol. Both products have their place on your top shelf. Any product that helps safely remove dead skin cells will improve your product penetration and give you brighter, smoother-looking skin. But sometimes, you find a product that smooshes them both together – and that product is a little bit special. Like a skin peel and a scrub in one, these multi-taskers work a little bit harder so you don’t have to. 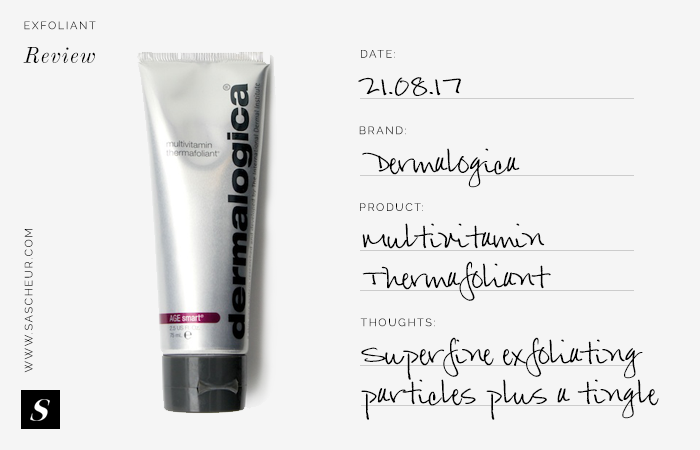 Dermalogica Multivitamin Thermafoliant claims to heat on contact with water on your skin to help stimulate the skin-sloughing actions of salicylic acid and retinol. It boasts a host of ingredients that, for something you don’t leave on your skin for very long, seems excessive. I love that they wanted to pack this product with active ingredients, but I don’t know how effective Vitamins C, E and retinol are at antiaging when the instructions say leave on for only 1-2 minutes. However, when used as an exfoliant, it does do a bloody good job. The physical exfoliating properties are superfine and it comes in a waxy, emollient paste that smells like citrus. Used on dry skin, the results are great and my skin definitely went a little pink from the chemical exfoliants when I left it on for more than two minutes. Rinsed off in a circular motion with warm water, the superfine particles only need the slightest pressure to lift off dead skin. I’ve been using Stieva-A Cream 0.025% (tretinoin) every second day, and even after two months, I’m still noticing dryness and flaking. But by using Dermalogica Multivitamin Thermafoliant once or twice a week, it’s helping reduce this side effect. I wouldn’t recommend this product to anyone with sensitive skin, as it may cause irritation. I’ve been using actives for a long time and my normal-dry skin tolerates a lot. But if you’re confident in your skin’s ability to deal with actives and peels, give it a go for smoother, brighter skin. One thing I will mention is that the emollient in this product can leave a strange almost sticky feeling on your skin. I don’t mind it – it feels hydrating – and using a toner afterwards helped remove it. But I’ve seen a few comments in various forums wondering if this is normal, and I thought I’d let you know that I noticed it, too. Good Genes and Luna Oil. I wrote about this product here last December. Although the particles in this scrub are a little larger than I’d usually go for (they’re enormous compared to Dermalogica Multivitamin Thermafoliant), the AHAs do a great job of softening and sloughing off skin cells. Apply it as a face mask and after five minutes, rinse off with warm water using gentle circular motions to help reveal smoother, brighter skin. I like using this on my neck, shoulders and décolletage as the larger scrub particles work nicely on thicker areas of skin. It’s packed with natural and mostly organic ingredients and essential oils that leave skin feeling hydrated. The primary AHA is lactic acid, which is both effective and low irritating, but do keep in mind that everyone’s skin is different and you may experience an initial purging period as the AHAs break down the bonds that hold the dead skin cells on the surface together. When it comes to choosing a facial exfoliator, I’ve found that products containing both chemical and physical exfoliants seem to do a better job than just a regular scrub. I either break out, or existing acne clears up – so I know it’s doing its job. 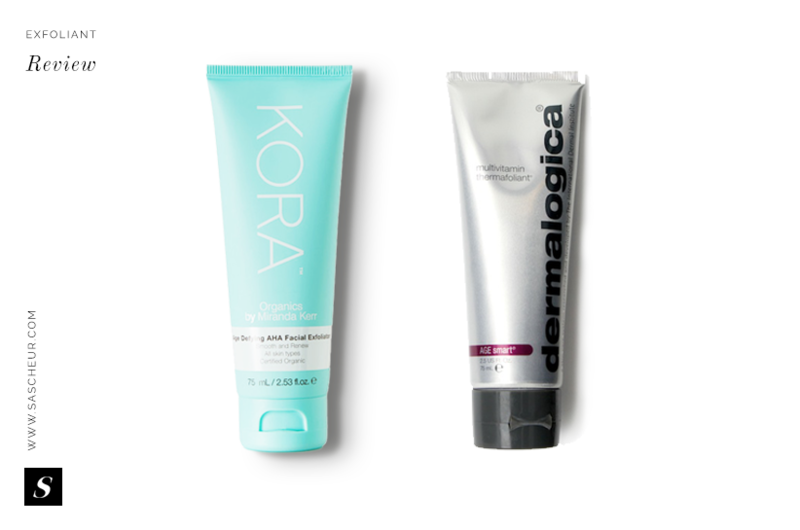 Have you used Dermalogica Multivitamin Thermafoliant or Kora Organics Age Defying AHA Exfoliator?